﻿ Honda power for Colin Edwards in 2014? Honda power for Colin Edwards in 2014? 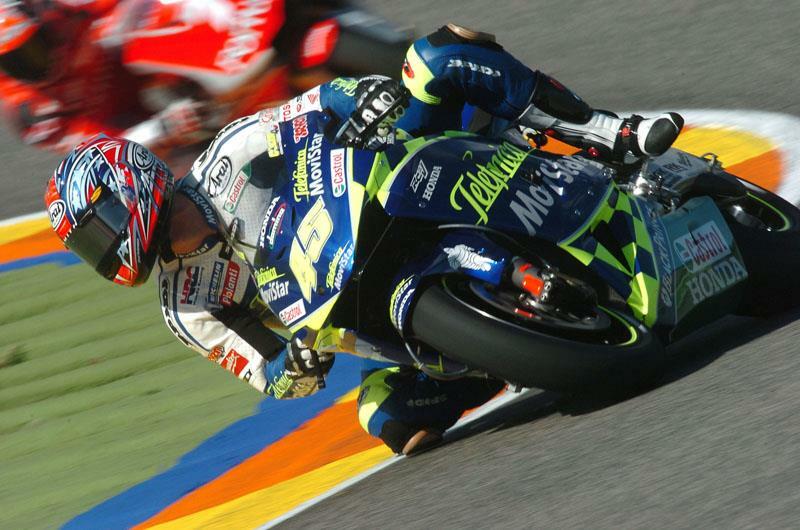 Colin Edwards could be poised to renew his association with Honda in 2014. The veteran Texan hasn’t ridden a Honda since he rode for Fausto Gresini’s MotoGP squad in 2004 and his previous association with the Japanese factory was when he famously won a second World Superbike title in a dramatic final round shootout with Troy Bayliss at Imola in 2002. But the 39-year-old dropped a big hint recently that he favours his current Forward Racing squad to switch to a new production Honda RC213V machine for the 2014 MotoGP campaign. Forward Racing have been negotiating with Yamaha about its YZR-M1 engine lease deal to run in a British-built FTR frame, while also holding talks with HRC about buying the new production RC213V, which is expected to cost around £850,000. Edwards is currently racing a tuned Kawasaki ZX-10R motor in an FTR chassis and he has no intention of retiring at the end of 2013. He told MCN: “I’m talking to the team and trying to figure out a plan. I’d like to stay and I think they want me to stay but it is a case of figuring out which route we go. Anything is possible and obviously being a Yamaha guy I am looking at that option and at the same time I know what the Honda is and how good it is going to be. Colin Edwards poised for Forward Racing 2012 deal?